In addition to our Kindle Fire giveaway (see our top post on our page to enter! ), we also have an in-office contest going! 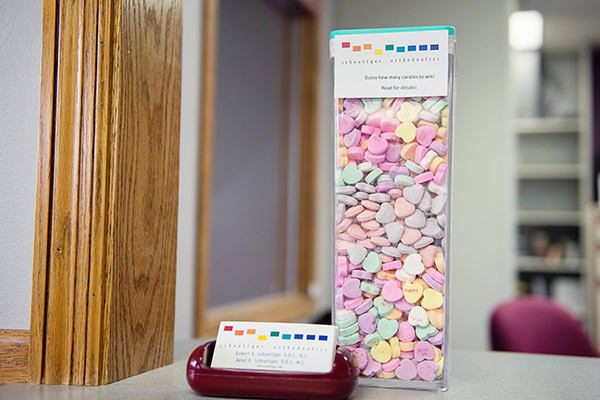 The closest guess for how many candy hearts are in our jar will win a Valentine's Day gift basket! You can enter in the office or comment on our Schoettger Orthodontics Bellevue Facebook page! Good luck!